Welcome to American Vision Center. 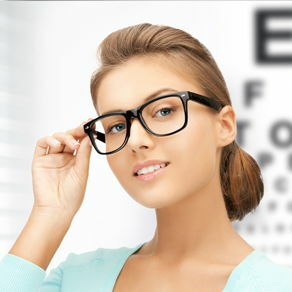 Our team strives to provide the best in optometric services. We invite you to browse our website to learn more about all our eye care capabilities and join our patient family by scheduling an eye exam appointment at one of our convenient locations. American Vision Center is a full service eye and vision care provider, accepting both eye emergencies as well as scheduled appointments. Patients throughout the the Denver metro area come to American Vision Center because they know they will receive the personal attention and professional care that is our foundation. We are dedicated to keeping our patients comfortable and well-informed at all times. We will explain every exam and procedure and answer all of our patients' questions. Additionally, we offer vision financing options and will work with vision insurance providers to ensure good eye health and vision care for all of our patients. Our one-on-one approach to optometry makes us the eye and vision care providers of choice in the Denver metro area. Our optometrists offer the following services: complete eye exams, contact lenses, glasses, glaucoma testing, eye emergencies and pre- and post-operative care. For a complete list of services, visit our services page or call one of our offices. At American Vision Center, we are dedicated to providing high-quality optometric cares in a comfortable environment. Call us today to schedule an appointment! 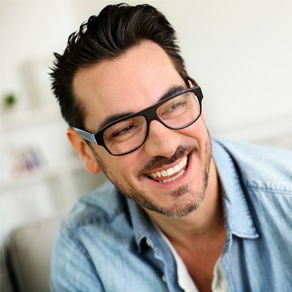 New Patients receive 10% OFF Second Pair of Complete Glasses! Dr. Greenstein was born and raised in Boston, Massachusetts. After graduating from Boston Latin School (the oldest continual Public school in the country) he entered the University of Massachusetts graduating in 1970 with a Bachelor of Science in Psychology. In 1972 he attended New England College of Optometry. Dr. Howell was born and raised in Sheridan, Wyoming. Her interest in optometry began in High School on a class field trip to the local optometrist's office. From that point on Dr. Howell knew optometry was meant for her! Dr. Trinka has always been interested in vision and the brain. He completed his Bachelor of Science degree in Biology at the University of Illinois and attained his Doctorate of Optometry in 1983 from the Illinois College of Optometry. In 1999, Dr. Trinka expanded his education, becoming a Certified Nutritionist and a Board Certified Naturopathic Physician, allowing him to address vision issues on multiple levels. Dr. Hennessy attended the University of Central Arkansas, Conway, earning her BS in General Sciences with a Minor in Marketing. She was then accepted to the University of Missouri-St Louis College of Optometry, where she graduated with honors. Everyone was extremely nice and helpful. I was seen promptly and all my needs and questions were taken care of efficiently. It was my first visit here, but it won't t be my last! As always, wonderful people in the office. The eye exam was more like a visit with a friend than a doctor visit. Service was friendly and fast. We didn't have to wait long! Which is always a plus with kids!